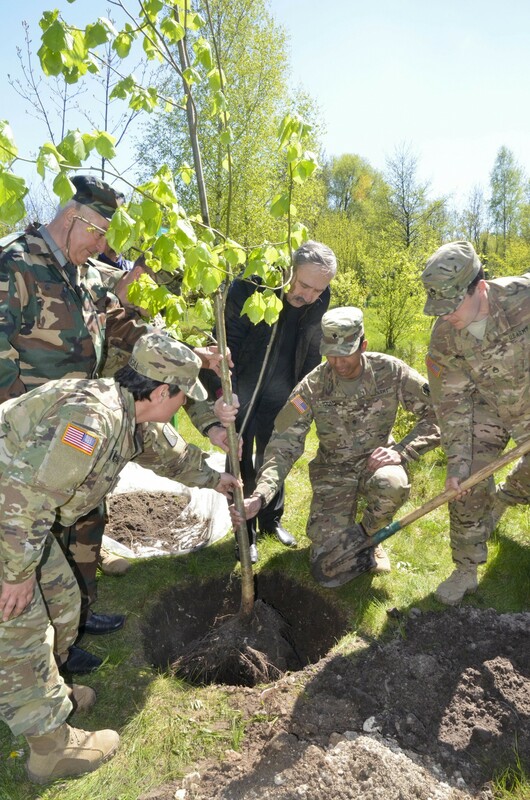 IVANO-FRANKOVE, Ukraine -- U.S. Army civil affairs Soldiers along with Soldiers with the Joint Multinational Training Group-Ukraine participated in a tree-planting event Apr. 28, at the National Park Headquarters in order to enhance relationships with key civil authorities and the local community. 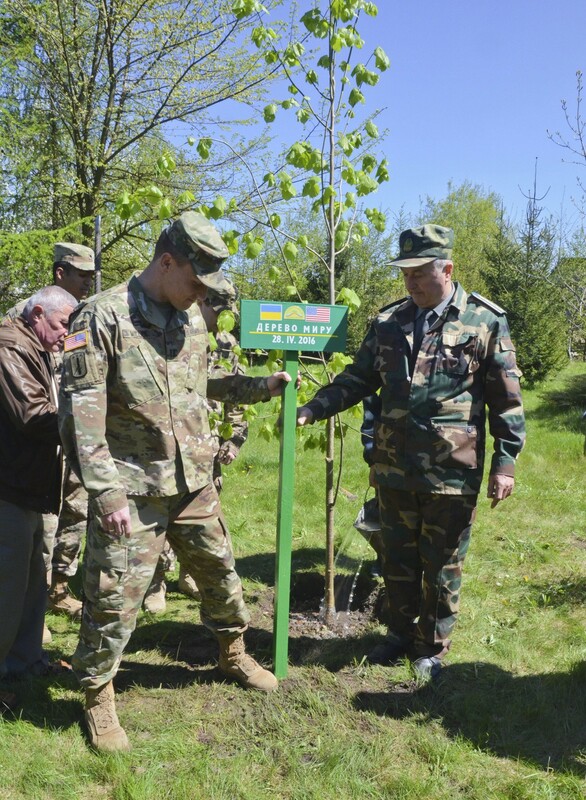 The tree planted was a linden tree, which traditionally is symbolic for long life and good health. 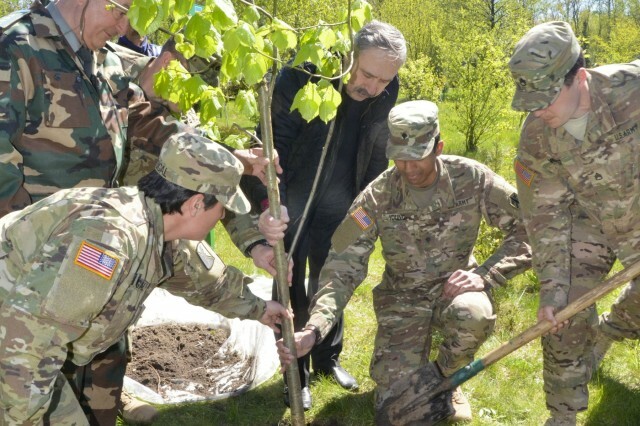 U.S. Army Soldiers were invited by local civilian authorities to take part in the event in demonstration of the strong bond that JMTG-U has with the local community. 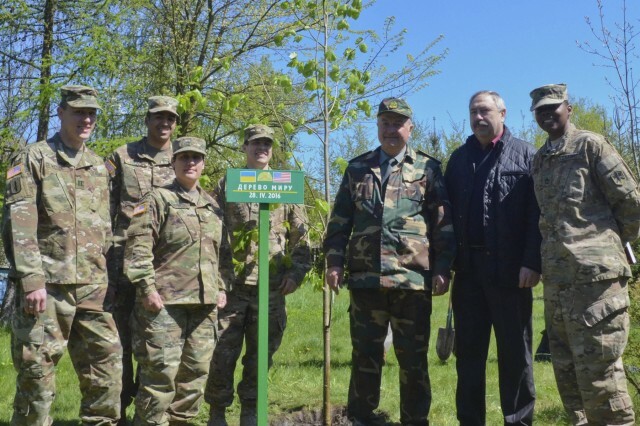 National Park, JMTG-U and Ukrainian Armed Forces will continue to flourish and strengthen over time just like the peace tree will as it matures," said Master Sgt. Jodi Portugal, JMTG-U operations noncommissioned officer in charge. 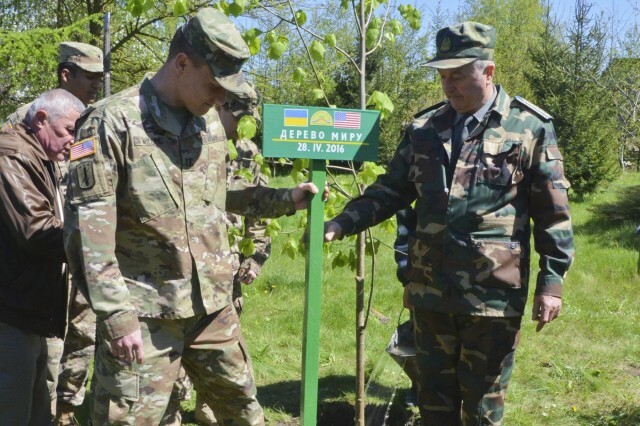 After the tree was planted, the Soldiers and local civilian authorities placed a sign at the base of the tree reading "Peace Tree" with U.S. and Ukrainian flags and the date of the planting. 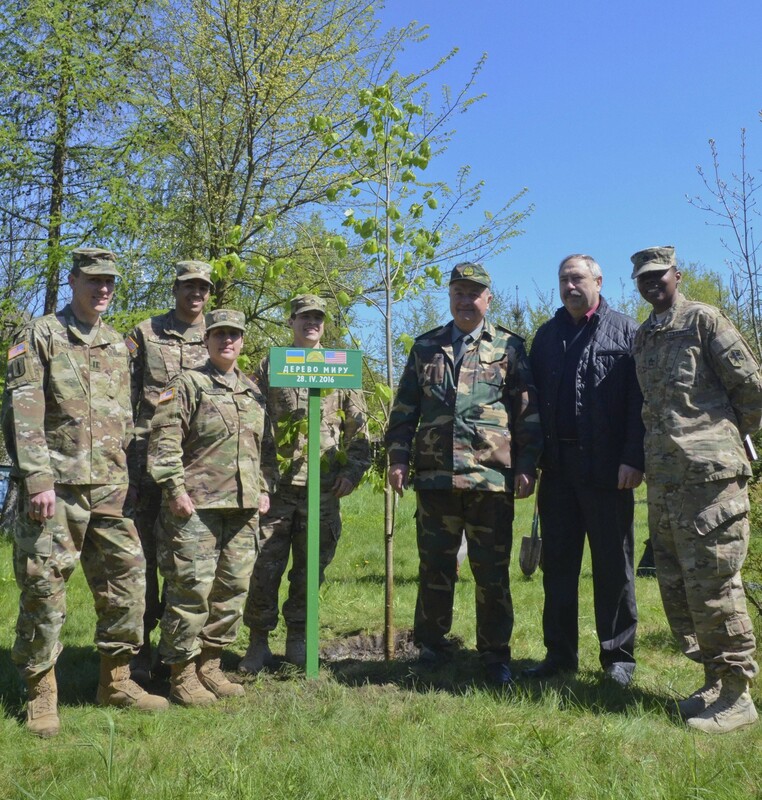 Soldiers and the local community will have the opportunity to be able to track the tree's growth over the years by looking at photos posted on the national park's web site. "Some day it would be great to come back with my family and bring my children here to show the tree we planted and remember it and let them see the community that we got to work in and show them some of the people. It's been a great opportunity and especially to be able to participate in something like this today was very memorable," Capt. Casey Miller, team leader, 80th Civil Affairs Battalion. The civil affairs team and Mykhailo Biliak, National Park Headquarters director discussed the importance of continued cooperation between the park, JMTG-U and the Ukrainian army in order to limit the impact of the training area on the local environment. "It's critical to the future that the training area be involved with the national park especially the civil authorities who have the expertise to really contribute to the future land management on the training area so that's why it's important for us to try to maintain that relationship," added Miller.